Sportsmen are a thirsty bunch. 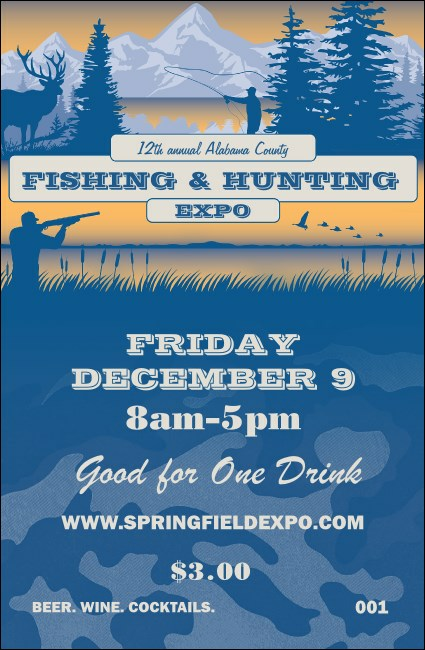 Get them through concessions quickly so they can spend more time visiting your exhibitors with the Fishing and Hunting Expo Drink Ticket. Printed with a camo background, a rifleman on the range, and a fisherman out on the water, this individually numbered ticket template keeps your event hydrated. From forest to field to lake to stream, TicketPrinting.com has event materials for you.